White House security specialist Tricia Newbold (inset) told Congress that at least 25 officials received security clearances despite opposition from career staffers. 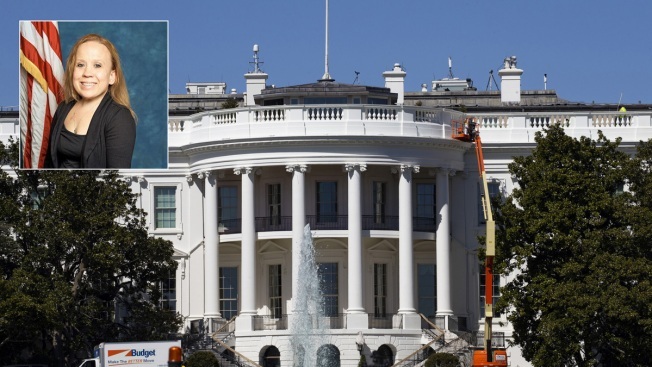 The White House security specialist who told Congress that at least 25 officials received security clearances despite opposition from career staffers says she felt humiliated by what she considers an act of retaliation from her boss. In an exclusive interview with NBC News, Tricia Newbold said her supervisor moved files to a shelf beyond her reach after she complained about the decision to grant security clearances over the objections of senior staffers. "It was definitely humiliating," said Newbold, a manager in the White House’s Personnel Security Office who has a rare form of dwarfism. "...But it didn’t stop me from doing what was right." Newbold's allegations were detailed in a letter that House Oversight Committee Chairman Elijah Cummings, D-Md., released Monday after she spoke to the committee in a private interview in March.